A smooth, clean jaw line is considered to be one major feature of a youthful-looking face. However, it doesn’t last forever. Most of us experience looser skin and a sagging jaw line, especially after we turn 40. So why does this happen? Loss of definition in the jaw is usually caused by skin laxity, where a breakdown of the elastin and collagen fibres causes the skin to become less elastic. 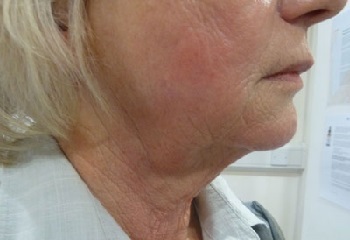 Fat pads from our cheek area start to move south with the effect of gravity, and repeated facial expressions cause folds, over which, loose skin can fall. Loss of the skin’s natural elasticity leads to a narrower, less youthful forehead and temple area, and a wider, heavier jawline. Occasionally, even younger people can experience a sagging jawline. The reasons for this are usually owing to excess skin caused by weight loss or gain. 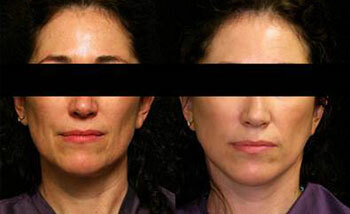 What can be done to prevent or reverse a sagging jawline or jowls? Whilst some people choose to undergo a facelift (which can provide dramatic results), we specialise in a selection of less invasive, non-surgical solutions that can improve the appearance of jowls and recreate a more defined looking jawline. The PDO Thread Lift is the latest treatment in skin tightening and lifting, giving the face a more contoured and sculpted V-shape. The name may sound a little scary but do not worry: the threads used in this procedure are absorbable, made of PDO (polydioxanone) material – similar to the threads used in surgical stitches. This means that they are completely safe to use and do not cause any damage to the tissue. The PDO thread lift is ideal for men or women who want to reverse the signs of ageing but do not want to undergo a surgical facelift. 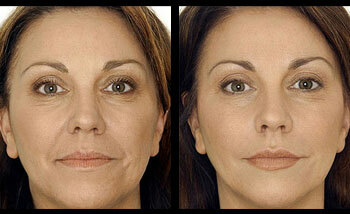 Many patients tell me that they are noticing some sagging here and there, deep creases, folds and wrinkles. This is because as we age, the collagen and the elastin fibres break down and need some extra help. Lifted contouring of the face along with a much tighter, more youthful complexion can be achieved instantly by collagen that resides in the deeper layer of our skin. The threads provide a natural and youthful appearance to the skin and keep the wrinkles at bay for over a long period. SILHOUETTE SOFT® is a technological innovation offering women and men what no treatment has ever provided: a redefined face, restored volume and reduced wrinkles by means of a 30-minute procedure, for a result lasting up to 18 month. The SILHOUETTE SOFT Thread Lift combats the effects of ageing by restoring a smoother and more toned skin, as well as a more shapely face. To meet this dual requirement, SILHOUETTE SOFT® combines two effects: lifting and regenerating. The lifting effect is immediate and discreet as it is the result of compressing and elevating tissue at the time of adjusting the suture. After inserting the suture, the face can be reshaped and the surface of the skin appears visibly smoother. SILHOUETTE SOFT® comes in the form of bidirectional absorbable thread cones. It is made in the United States and its development is based on six years of experience in suture suspension with cones used in reconstructive surgery and cosmetic surgery. The Ultimate 4D thread lift is the first of its kind in South Africa, combining the PDO threads with the Silhouette Soft® threads to achieve the ultimate in non-surgical shaping and volumisation of the neck, in addition to the lifting and contouring of the jawline. 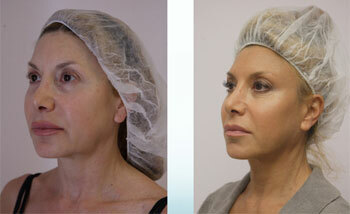 3D Vectoring allows us to lift the face using a new European method that gives remarkable results. With the 3D Vectoring technique we can lift the face, tighten jowls, soften nasolabial lines and return the contours of the face to youthful proportions.